Bertony Faustin will always make a way. Philosopher, thought provoker and change maker his spirit is one that will endure all obstacles and setbacks all while inspiring others to do the same. Born from Haitian-immigrant parents, this Brooklyn born New Yorker's destiny was never set in stone. More similar to the water that flows through the river rock that is adorned on his wine label; Bertony can quickly adjust course when obstacles impede his progress. Proudly proclaiming his abstinence from alcohol when he started Abbey Creek Vineyards in 2008 his course would not be like the rest. His work ethic and drive led him to claim his foothold in the Oregon wine industry and he continues push it forward to the next frontier. Bertony's continual refinement "My best is my next" attitude has been the keystone of the vineyards success. He plants the vines, tends to them, harvests the fruit, makes the wine and sells every bottle. This self taught, hands on approach allows Bertony to be involved in the winemaking process from soil to glass. "I'm a farmer first", never skipping a step he is a student of nature. Long days in the vineyards lead to breakthroughs in his business and the growth of his movement. "I got grapes, I can make wine"
Abbey Creek, named after the creek that runs through the vineyard property lives in the west hills of Portland Oregon. The first vines were planted in 1981 by Dr. Robert & Sandra Simmons on a modest 5 acres of the 50 acre property. Originally planted as a tax deferral establishing the property as farm land; These grapes would lay the foundation for boundless growth and potential. Unbeknownst to the original cultivators of this land one ingredient was missing. It needed a pioneer. Bertony Faustin was just that! With the vision of growing a few rows of grapes to a brand that could potentially influence the world Bertony took on the challenge of building a label that would change the course of the industry. The tragedy of loosing his father evoked a change in career for our winemaker and founder Bertony Faustin. Planting 7 additional acres of grapes and establishing Abbey Creeks first wine label in 2008. "They can't tell my story "
Establishing himself as a renowned and recognized winemaker in Oregon pinot country Bertony had more challenges than your average vineyard owner. Systemic issues woven deeply into the history of not only the state but the wine industry as a whole proved to be fertile ground for Bertony (the first black vineyard owner and winemaker in Oregon) to establish his place as a true Oregon pioneer. Never one to let a challenge stop him Bertony took this as an opportunity to not only tell his story but the story of others who are facing similar challenges in the industry by producing the documentary "Red, White & Black". Documenting Jesus Guillen, Remy Drabkin, Andre Mack, and Jared Sleet's stories to give an inside look into the diversity challenge facing the wine industry world wide. The North Plains tasting room is a everything but your typical wine tasting room. Hip hop playing over the speakers, wine production happening on site, all while maintaining a relaxed and candid vibe throughout the room. "I wanted to build this place as if I was the only one", Bertony remains steadfast in his ultimate vision of creating a community space not based on wine but fellowship. A place where you can come as you are and leave with brand new memories made. "This is my terrior", the soil that serves as the foundation for all that we do. 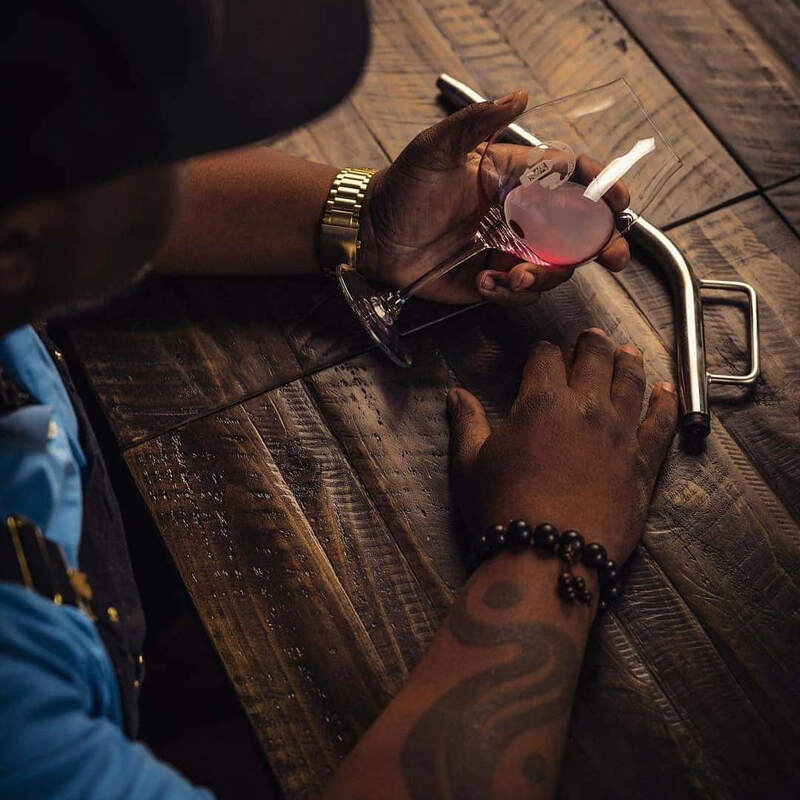 Bertony Faustin - Winemaker from Noah Thomas on Vimeo. Come out and see us At The Crick!